The journal "eco.mont"; – Journal of protected mountain areas research and management – was published for the first time in June 2009. The journal was founded as a joint initiative of the Alpine Network of Protected Areas (ALPARC), the International Scientific Committee on Research in the Alps (ISCAR), the Austrian Academy of Sciences (ÖAW) and the University of Innsbruck. 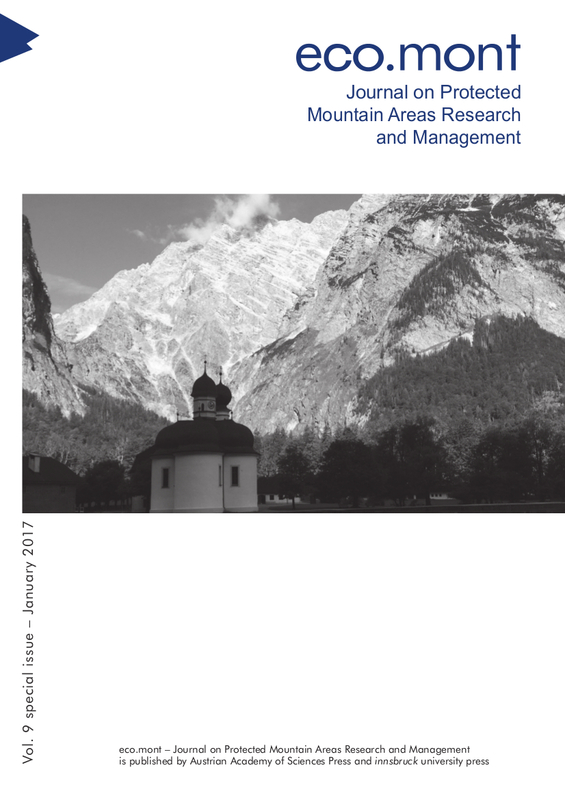 The journal aims to highlight research on and management issues in protected areas in the Alps without excluding other protected mountain areas in Europe or overseas. Its target audiences are scientists from all related disciplines, managers of protected areas and interested individuals including practitioners, visitors, teachers, etc. The journal presents peer-reviewed articles in English by authors who research protected mountain areas and management issues within these areas. It's published twice a year as a collaboration of the Austrian Academy of Sciences Press – responsible for the e-version – and Innsbruck University Press – responsible for the print version.